Who: Anne C. Perry, an editor at Hodder & Stoughton. She is the founder of Pornokitsch, Jurassic London, and The Kitschies, the award for the year’s most progressive, intelligent and entertaining genre fiction. She spends most of her free time thinking about monster movies. Please give it up for Anne, everybody! You can’t judge a book by its cover… except when you can, and should. And 2014 blew me away with a wealth of gorgeous covers. I’ll highlight some – but by no means all – of my favourites below. A good cover requires a couple of things. You need a clear vision, from the start, of what the cover should look like – after all, it’s not just a cover. It’s a whole package. You want a cover to be strong and arresting enough to inspire readers to pick up the book and take a look. As importantly, you need a clear brief. It’s essential that you convey your vision for the book to your art department and/or artist so that they can go away and do their magic with a minimum of fuss and confusion. A strong cover doesn’t just excite interest from casual bookstore browsers; it can generate pre-orders with online retailers. So the faster you can get your cover finished, the better! 2014 was a great year for covers. I could hardly bring myself to just choose a few! 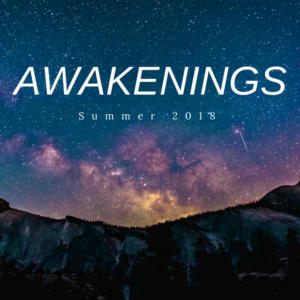 I focused mainly on SFF titles but threw in a couple of non-fiction ringers, just for fun! 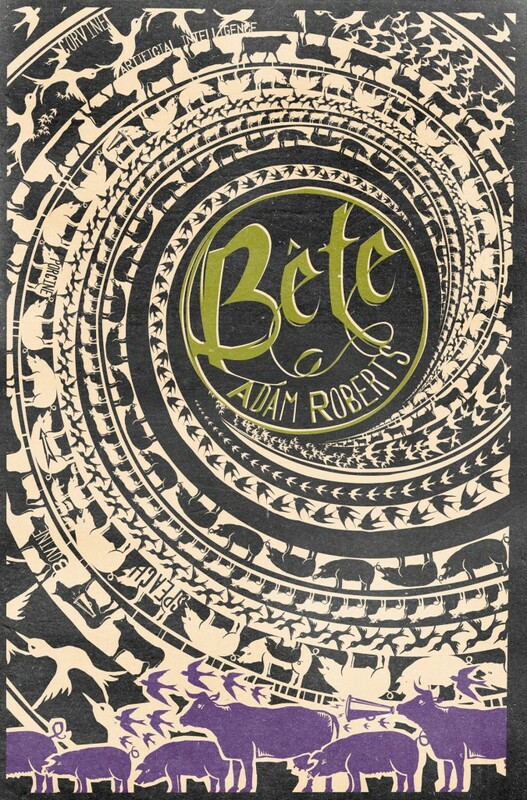 Béte, by Adam Roberts. Cover by Black Sheep. Gollancz. Adam Roberts’ novels are wonderfully, dependably complex, intelligent, beautifully written and darkly funny. 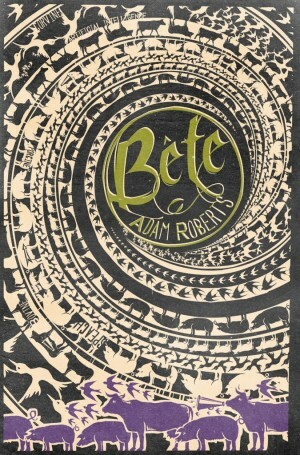 His publisher has been hitting it out of the park recently with his covers; 2013’s Jack Glass is a gorgeous stained-glass fantasia, and this year’s Béte is a marvel of striking cover design, featuring animals marching in a spiral towards the title. You’ll also notice a cow with a megaphone: this is a book about talking animals. Here’s a bit about the cover process. H is for Hawk, by Helen McDonald. Cover by Christopher Wormall. Jonathan Cape. 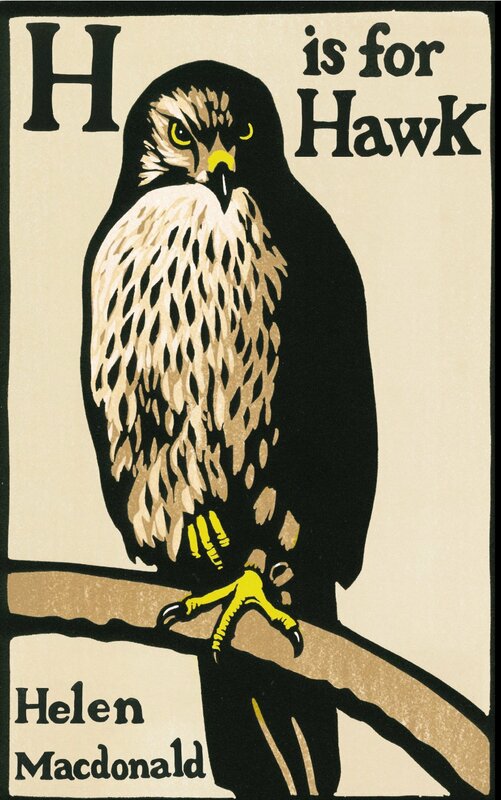 I recall gasping audibly the first time I saw H is for Hawk in a bookstore, and for good reason; the art is breathtaking. You can absolutely see why this stark, startling, intense cover has featured in bookstore windows since it first published, and why it became a bestseller. McDonald’s publisher discusses the cover process here, and it’s well worth a read. 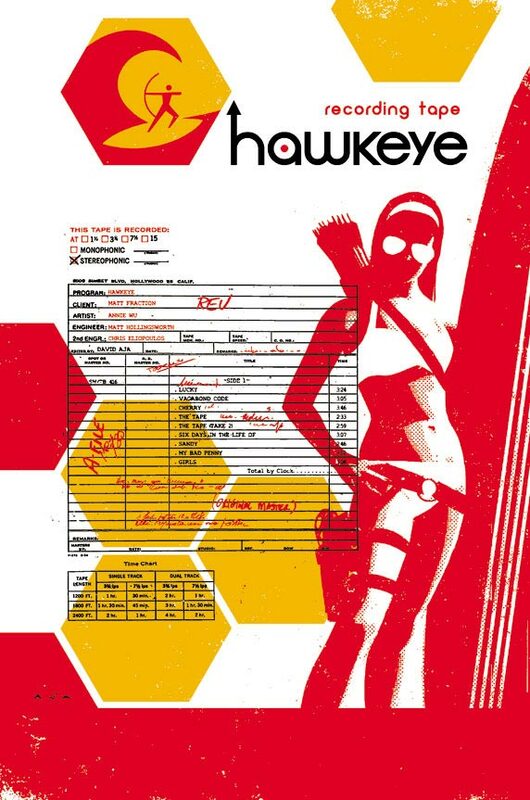 Hawkeye # 16, by Matt Fraction. Cover by David Aja. Marvel. Marvel’s superb series Hawkeye has been topping best-of lists since it first started publishing in 2012. The comic is a lovely day-in-the-life snapshot of the least super Avenger, Clint Barton, featuring his kind of crummy apartment, his coffee addiction, and of course the many women in his life. Also Lucky, the dog. The writing is wonderful but no less important is David Aja’s stark, deceptively simple art, which is somehow both playful and rough around the edges. The covers for individual issues are so strong that many have already moved from ‘ground-breaking’ to ‘iconic’. The issue I’ve chosen to highlight here perfectly encapsulates the comic’s muted palette, stripped-down design, and playfulness. 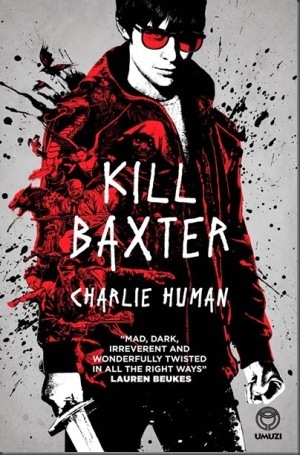 Kill Baxter by Charlie Human. Cover by Joey Hi-Fi. Century. Joey Hi-Fi’s covers are always wonderful and always unforgettable. I mean, there’s just no comparison; he reads the book before he starts work on the cover and incorporates elements from the story into the art. His work is youthful, energetic, and hip, and he could have no better canvas than his work than Human’s Harry Potter for the 21st century series. Which is itself wonderfully youthful, energetic and hip. 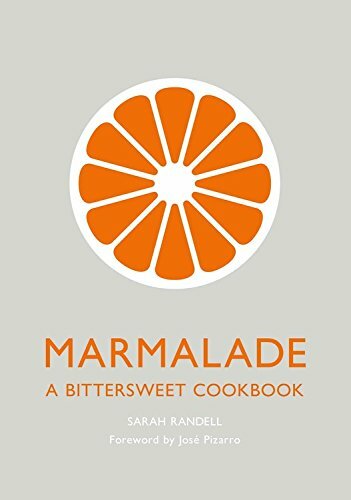 Marmalade: A Bittersweet Cookbook, by Sarah Randall. Cover by James Edgar. Saltyard Books. 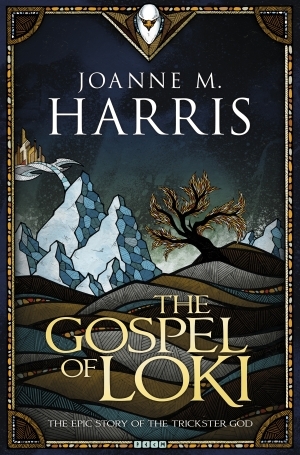 The Gospel of Loki, by Joanne M. Harris. Cover by Andreas Preis. Gollancz. 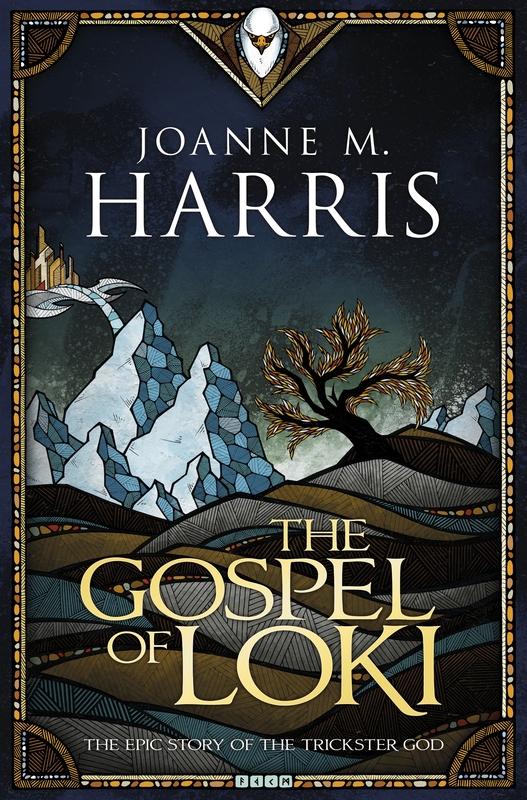 A book about everyone’s favourite trickster god could go so very, very wrong: in an alternate universe, this book’s cover features a Photoshopped cut-rate Tom Hiddleston knock-off. But Gollancz went a different direction for Harris’ lovely novel, and I’m so glad they did. Loki’s dark palette and wood-cut-style art makes it stand out on the shelves. I recall seeing Underground advertising featuring large posters of this cover, and wishing I had one to hang in the office. The Martian, by Andy Weir. UK cover by David Grogan. Del Rey. US cover by Eric White. Crown. Both the US and the UK covers for Weir’s debut novel are excellent covers, each in its own way. 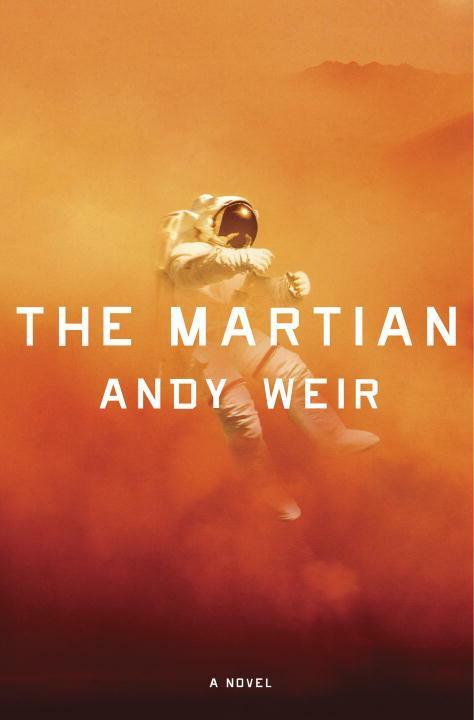 The Martian, in case you haven’t read it (why haven’t you read it?) is essentially Robinson Crusoe on Mars. It’s the story of an astronaut stranded on the surface of the red planet with a limited supply of food – which he has to make last until the next ship heads his way. The US cover image suggests the epic scope, terrible isolation and deadly stakes at play in the novel’s premise; this is a person in a very bad situation, which the cover communicates in what can only be described as a cinematic achievement. The UK cover, on the other hand, is an exercise in physical and psychological intimacy. It zooms in on the main character’s face; every wrinkle, every bead of sweat is there for us to be astonished by. Both covers are hugely compelling. 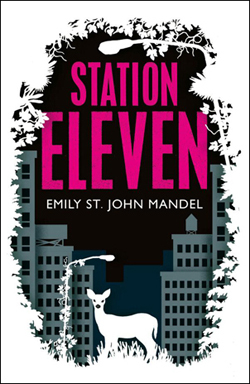 Station Eleven, by Emily St John Mandel. Cover by Natasha Burton. Picador. Mandel’s gorgeous novel bounces back and forth between the present day and a future twenty years from now, when most of humanity has been wiped out by a deadly virus. The cover, in a wholly arresting visual, overlays a dark cityscape with a bright wilderness cut-out. 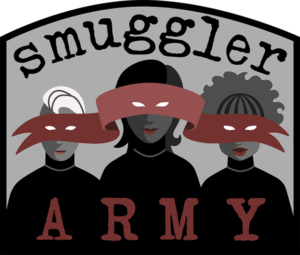 It’s a powerful, carefully considered take on the novel’s settings and themes. You can read about the cover process here. Wolves, by Simon Ings. Cvoer by Jeffery Alan Love. Gollancz. 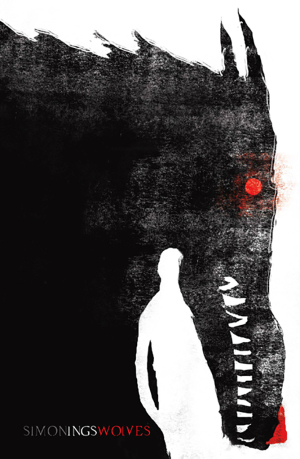 Ings’ prickly, intelligent science fiction novels meet their match in Jeffery Alan Love’s dark covers, which use negative space to superb advantage in conveying a lot of information in a superficially simple concept. Wolves is my particular favourite, but all of Love’s Ings’ covers are fantastic. (*) Full disclosure: Saltyard is an imprint of Hodder & Stoughton, my employer. Wow, that last cover image is really breathtaking. I agree that the other covers are very well done, but something about that last one really speaks to me. 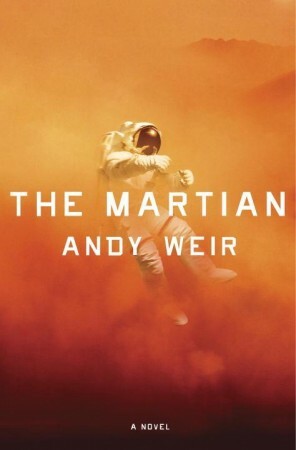 I’ve loved The Martian cover since I first saw it, I really need to read the book that goes with it! Those other covers are beautiful!